We have captured the market with the wide array of products; we make available the same from Chennai(India). We are specialist in making available Sodium Acetate in a wide spectrum of grades and specifications. 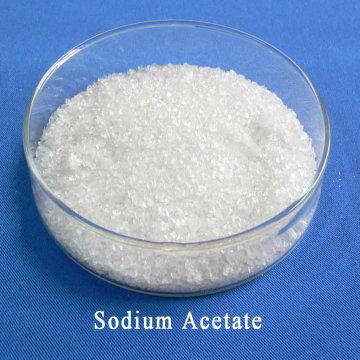 Sodium acetate, CH3COONa, also abbreviated NaOAc, also known as sodium ethanoate, is the sodium salt of acetic acid.Sodium acetate is used in the textile industry to neutralize sulfuric acid waste streams and also as a photoresist while using aniline dyes. In processing cotton for disposable cotton pads, sodium acetate is used to eliminate the buildup of static electricity.